Physiotherapy is most commonly used to help and treat any musculoskeletal injury or disorder (in other words, joints, muscles, tendons, ligaments or similar). This means that we treat acute injuries like disc bulges, whiplash, sprains, strains, trauma and nerve pain, as well as chronic problems like joint disorders, previous damage and degeneration. There is always something that can be done to help you, even if the problem is not able to be resolved in its entirety. At Physiofusion, we have several additional therapies which complement physiotherapy and can help to fix more complicated injuries or disorders. Our therapists work together as a multi-disciplinary team, allowing several areas of expertise and experience to be used, assuring the best result for you. We care about your personal data and it is important that you know how we use it and how we keep it safe. This privacy notice is not exhaustive, but of course if you have any specific questions regarding the data we hold about you, we would be more than happy to explain this. 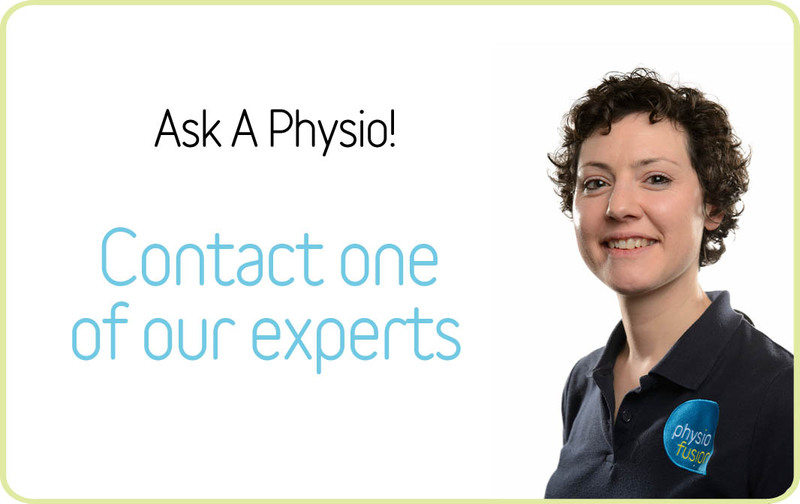 You can contact our Practice Manager at info@physiofusion.co.uk or telephone 01282 453 110. We need to use information about you in various forms and we will only use the minimum amount of information necessary. Sometimes we will use information which does not identify you i.e. statistics / anonymised reports. We process information such as your name, address, post code, date of birth and contact email / telephone numbers. We will also process information about your medical history and the treatment you receive when you attend your appointments at Physiofusion. At your initial assessment we will ask for written consent for us to hold this information, you will also be asked to provide consent verbally at each of your appointments. We are passionate about our patient’s wellbeing and will share information with you on how to improve or maintain good health. On occasion we do have special offers for our clients, we will ask for your consent to send this information to you. Please be rest assured that we never share your information with 3rd parties for marketing purposes. Your experience with us is also really important. We may use your data to contact you to find out how your treatment is progressing or to ask for feedback regarding the service you have received. Following your initial assessment, it is our normal practice to update your GP, we will inform them of your condition and how we plan to treat you, if for any reason you would not like us to do this please let your clinician know. Dependant on your clinical needs, we may need to also write to your GP or relevant Consultant to recommend they arrange further investigatory tests on your behalf, this will involve us sharing clinical information about you with them. If you have been referred to us by a Medico Legal company, Solicitors, Employer or Health Insurer and they are financing your treatment, you will have been asked to provide consent for us to share information regarding your treatment, this may include our diagnosis of your condition, proposed treatment plan and updates regarding your progress during treatment. We are committed to protecting your privacy and will only process personal confidential data in accordance with the Data Protection Act 1998, the General Data Protection Regulations (2018). We are legally responsible for ensuring that all personal confidential data that we hold or share about you is done in compliance with this legislation. Physiofusion has a legal duty to keep information about you confidential and in a way that always respects your rights and well-being. All information that we hold about you will be held securely and confidentially. Your personal data may be held in the form of paper notes, electronic cloud storage, email and also held on our diary management system. Steps are taken to ensure that your data is only accessible by authorised staff on a need to know basis. All staff receive appropriate and ongoing training to ensure that they are aware of their personal responsibilities and have contractual obligations to uphold confidentiality, they are also trained in reporting data breach incidents. Until the patients 25th birthday or 26th if the young person was under 17 at conclusion of treatment. We take steps to ensure that any service providers we use who support the storage of personal data, for example our diary management system, that they are also compliant under Data Protection and GDPR requirements. You have a legal right to have your information processed fairly and lawfully, you also have the right to access any information we hold about you. You have the right for Physiofusion to hold your information confidential and secure. You have the right to request that any information held about you is amended if incorrect. If you would like to request information that we hold about you, then please contact the Practice Manager at info@physiofusion.co.uk or call 01282 453 110. You have the right to refuse or withdraw consent to information sharing at any time by using the details above, the Practice Manager will explain the consequences of withdrawing consent to you. The protection of your personal data is very important to us and for this reason we do take complaints exceptionally seriously. If you have any concerns that you have regarding the collection of your data we would encourage you to bring these concerns to our attention, we also welcome any suggestion on how we could make any improvements. If you would like to contact us regarding this, or would like to make a complaint please contact the Practice Manager via info@physiofusion.co.uk or alternatively you can call 01282 453 110.